The Alcazar de los Reyes Cristianos (Spanish for 'Castle of the Christian Monarchs'), is a medieval Alcazar located in the historic centre of Cordoba, next to the Guadalquivir River and near the Grand Mosque. An alcazar is a type of Moorish castle or palace in Spain and Portugal built during Muslim rule. The fortress served as one of the primary residences of Isabella I of Castile and Ferdinand II of Aragon. 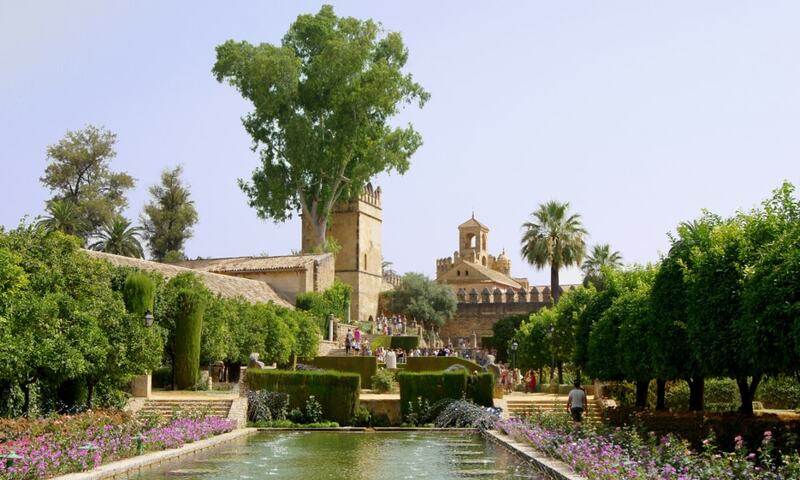 The Alcazar has two towers: the Torre de los Leones ("Tower of the Lions) and the Torre de Homenaje ("Tower of Homage"). The latter has Gothic features including an ogival ceiling.